Tickets just £35 for whole day of training, available here. The job of the investigative journalist is to uncover facts the public should know about - but aren't allowed to. This workshop will explore the context for investigative reporting in the digital age and new models to allow its practice today. The workshop will show you where to find hidden information, how to access documents and data, and how to use investigative skills in your practice. During this intensive one-day seminar curated by Dean Starkman, senior editor at the International Consortium of Investigative Journalists, and Peter Geoghegan, investigations editor at openDemocracy will present cutting edge investigations and show you how to cut through the spin to get to the story. The workshop will show you how to use investigative skills with useful tools for academics, bloggers, campaigners, activists, charities and anyone with an interest in holding the powerful to account. As well as getting the inside track on key stories like the Panama Papers and the Paradise Papers, the seminar will include hands-on instruction in how to use investigative approaches and resources in your work and an opportunity to discuss your work with the trainers. 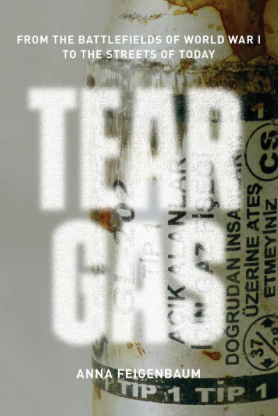 Pulitzer prize winner Dean Starkman talks through some of the key stories in his career, including the International Consortium of Investigative Journalism’s recent investigation into how health authorities failed to protect millions from poorly tested implants. Dean will show how the ICIJ’s unique collaborative model works and also talk in-depth about how to identify investigative targets and how to structure and run an investigation. In this hands-on session, Peter Geoghegan will teach you how to access and process information. Participants will be shown how to file Freedom of Information requests and how to access public registers of information. In the second half of the session, Peter will show participants how to use Excel to process data and how to use data journalism in investigative story-telling. In the final session of the day, participants will have the chance to discuss their own work with the trainers. Ideas for investigations will be debated and discussed, both in theory and in practice. Participants will also have the change to ask follow-up questions based on their experience at the workshop and their interests. For our next Rethinking Politics in Data Times seminar series we're excited to invite Dr Anastasia Denisova from the Communication and Media Research Institute at the University of Westminster to talk about Memes, virality and Russian politics. Dr. Denisova will talk about new creative means of expression that were enabled by the interactive technologies. Not only people can communicate and upload their ideas and opinions online, they can actively participate in shaping of the agenda, respond to the narratives of decision-makers and subvert ideologies. One of the means of communication of the digital natives – memes – can be used in oh so many ways, from the digital folklore and slang, to the tools of political resistance to media hegemony and propaganda. This talk will draw on the main principles of meme theory and use examples from the Russian twitter, as well as link meme studies from the Western and non-Western perspectives. When: Thursday, February 8th 2018, at 5pm. Where: Windsor Building, Room 103, Royal Holloway University, Egham. Kicking off the new term, we are excited to invite Dr. Jennifer Pybus from Digital Humanities at King's College to reignite our Rethinking Politics in Data Times seminar series! One March 12, 2017, Tim Berners-Lee, marked the 28th year since the inception of the Worldwide Web with three collective challenges: 1) The loss of control of our personal data, 2) the concentration of ownership and algorithmic practices which are facilitating the intensification and spread of misinformation and 3) the need for more accountability and regulation around political advertising. When all of these concerns are taken together, a new challenge emerges: the intensification of personalised economies, predicated on the content silos we increasingly operate within on digital platforms. The talk will therefore consider how advertising platforms like Facebook or companies like Cambridge Analytica, leveraged vast amounts of data to produce granulated, psychographic profiles that matched American voters with targeted political messages in the recent Trump elections. In so doing, we will discuss how datafication should not be uniquely understood as an economic process but equally, as a means to garner political influence, raising important questions around the myriad ways in which political parties are now using our data to reach their potential voters. Dr. Jennifer Pybus is a Lecturer in Digital Culture and Society at King’s College London. Her research focuses on the diverse ways in which our digital lives are being datafied, turned into social big data that fuels our increasingly personalised, data intensive economy. Her current research is looking at the politics of datafication and everyday life, specifically in relation to those critical points of tension that lie at the intersections between digital culture, Big Data and emerging advertising and marketing practices. Part of this work focuses on the political economy of social media platforms, display ad economies, the analytics of search engine optimization and the rise of new sites wherein data can be exchanged for value, particularly within the mobile ecosystem. When: Monday, January 15th 2018, at 5pm. Where: Founders Building, Room FW101, Royal Holloway University, Egham. This term’s Department of Politics and International Relations Research Seminar will be kicked off by Prof Ben O’Loughlin, professor of International Relations at Royal Holloway’s PIR and Director of the New Political Communication Unit. His publications include Forging the World: Strategic Narratives and International Relations (University of Michigan Press 2017), Strategic Narratives: Communication Power and the New World Order (Rouledge 2013), Radicalisation and Media: Connectivity and Terrorism in the New Media Ecology (Routledge 2011) and War and Media (Polity 2010). Prof O’Loughlin will talk about 'Winning hearts and minds in hot spots? Explaining the effects of EU strategic narratives in Ukraine, Israel and Palestine'. The Research Seminar takes place this Wednesday, 10 January and starts at 4.30 pm in FW101. Media, War & Conflict Journal’s tenth anniversary conference will be held on 22-23 May 2018 at Accademia Europea Di Firenze, Florence, Italy. War of Spaces allows us to analyse how ‘war’ actors (political, military, survivors, victims) utilize, integrate and compete over (media) space thereby thereby recreating space and time in a manner that is transformative across political, social, cultural and personal spheres. Drawing on these themes, the tenth anniversary conference aims to showcase the best research in this field while also taking stock of how the field has developed and to identify the emerging challenges we face. For our next seminar of Rethinking Politics in Data Times (Monday December 4th at 5pm), we are honoured to invite Dr. Anna Feigenbaum, who is the Principal Academic in Digital Storytelling at Bournemouth University where she teaches multimedia journalism and convene the Civic Media Hub and BU Datalabs project.. 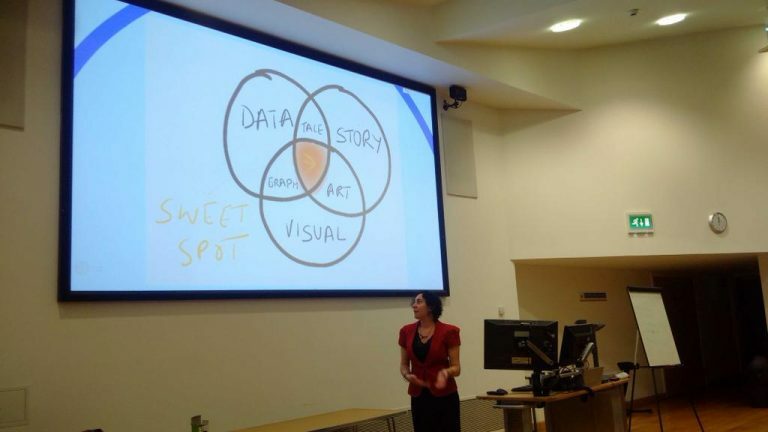 Drawing from my experience founding the Bournemouth University-based, Civic Media Hub and Datalab project, in this reflective presentation I highlight challenges and opportunities that come with practices of data storytelling for social justice. Specifically, I reflect on data gathering, the ethics of data visualization, and the problem of data distortion, particularly when working with sensitive issues and vulnerable populations. When: Monday, December 4th 2017, at 5pm. 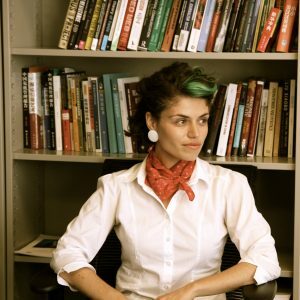 Rethinking politics in data times with Maria Repnikova - Thursday, November 23rd at 5. This Thursday, 23rd of November 2017 for our Rethinking Politics in Data Times seminar series, we collaborate with our colleagues from AAME, Centre for Politics in Africa, Asia and the Middle East and invite Dr. Maria Repnikova, who is an Assistant Professor in Global Communication at Georgia State University, and the Director of Center for Global Information Studies. Dr. Repnikova will talk on China as a Media Player: From Domestic Media Politics to Ambitions for Global Dominance. Dr. Repnikova specialises on Chinese politics and is working on two research projects at the moment: China's Global Story-Telling: An Attempt at Soft Power, and From Economics to the Media: Propaganda Diffusion Experiment in China. She recently published a book titled - Media Politics in China: Improvising Power Under Authoritarianism at Cambridge University Press (2017). In this book she examines the webs of an uneasy partnership between critical journalists and the state in China. The book highlights the distinctiveness of Chinese journalist-state relations, as well as the renewed pressures facing them in the Xi era. In addition, Repnikova also combined a comparative analysis of Chinese politics with media politics in the Soviet Union and contemporary Russia. When: Thursday, November 23rd 2017, at 5pm. Where: Windsor Building, Room 004, Royal Holloway University, Egham.